channels of choice. Furthermore, customers only seek direct interactions when they unsuccessfully exhaust their self service options. This is backed up by data from American Express, which found that 48% of consumers prefer to speak with a customer service rep when dealing with complex issues, but only 16% prefer the same contact for simple issues. The goal of this paper is simple: We want to help you build an all in one knowledge base, community, and customer portal. 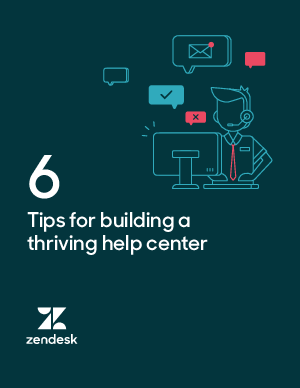 All of which can be accomplished with a help center like Zendesk Guide.